Our 10th Anniversary was on a Friday this year and we decided to leave the girls to spend the weekend at the grandparent's house. This was the first time we would be leaving them for this long of a time. 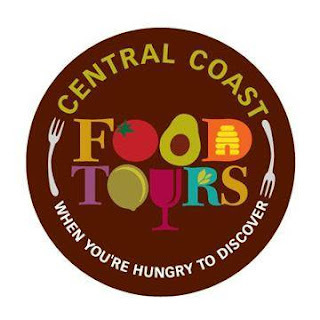 Hubby and I agreed that we both would like to take a food tour during our get a way. The only ones we knew that would be a decent drive is in Newport Beach and San Luis Obispo. 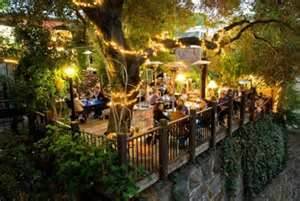 We didn't find much we wanted to do in Newport so we went to San Luis Obispo. This was not going to be a frugal trip; but I did try to find deals where I could. I found some discounts on SLO Car Free. The website promotes clean air and encourages you to be car free. I got a $10 discount for the Central Coast food tour. 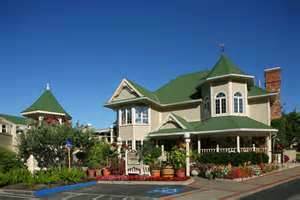 I also got a 15% off discount on the Apple Farm Inn we were staying. We left on Friday and drove 3 or 4 hrs. to our first destination in San Luis and ate lunch at Splash Cafe'. They have award winning clam chowder; so that's why we went to check it out. Apparently they have 2 locations. One is by the beach in Pismo at the other next to the street in San Luis. I picked the wrong one next to the street. Oh well. I ordered the clam chowder in the bread bowl and hubby ordered fish and chips and ate outside. Both dishes were very good. It is the best clam chowder. After lunch we drove to Avila Beach to rent a couple bikes. The only bike trail we saw was right near the street. 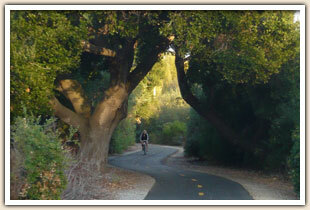 We drove up and down the road but didn't see any other bike trails. So far, things were not going well. We finally called the bike rental place and they said there is a bike trail that is not by the street. We drove up to find parking and found the bike rental place, Joe Momma's Coffee. We rented 2 cruisers at about $8/hr. each. The girl was very friendly and told us where the trail was. After a bit of a walk with our bikes in tow; we found the trail. I had not ridden on a bike in a very long time and was very wobbly when I first got on. It was so embarrassing. I eventually got the hang of it and headed down the trail. It was a very pretty trail with lots of trees. We crossed a bridge that had a large stream underneath. We were out riding for about 30 min. until the trail came to an end to a busier and not so pretty section. That's when we turned around to head back. There was a lot of downhill riding on the way up; so we had to deal with all the uphill riding on the way back. We were so tired, we barely made it up without having to walk the bikes. We got back to the bike rental about an hour and a half later. She charged us the cheaper amount by giving us the half day rate than charging us for 2 hours, which was nice. It was now check in time for our hotel at the Apple Farm Inn. We drove about 20 min. before we arrived at the very cute and charming Inn that has a stream right outside. We got a room right next to it. We rested for a little while before heading out to dinner at Steamers in Pismo Beach which was about 15 min. away. We made reservations ahead of time to get a window seat. We only waited about 5 min. before we were seated next to a window looking out at the beach watching the waves crash. I ordered the surf and turf and I think hubby ordered a chicken dish. The steak was OK. a bit dry. Maybe, I'm too picky about my steak. After dinner, we went to the American Melodrama Theatre in Oceano which was about a 10 min. drive. We wanted to do something different and both of us thought this would be fun. We saw a western show that was full of comedy and good performers. At intermission time, the performers become the servers if you would like to go to the back for a snack or a drink. We thought that was kind of neat that they run the whole place. The show lasted about 2 1/2 hours and we paid $22 for each seat. Would definitely go back again. Around 11:00 pm, we drove back to the Apple Farm to get some rest. On Saturday, we went to have light breakfast of cereal and a muffin at the Apple Farm restaurant before heading out to our food tour. We got to our destination which was a chocolate shop and was greeted by our guide, Yule. It looked like we were the only ones there taking the tour. We sat down and he served us our 1st food tasting of a chocolate truffle and a decedent chocolate shake. Yule was very informative on the chocolate we were eating and where the cocoa beans came from. The 2 items both were very good. As it turned out, we were waiting for some late arrivals who got lost. The 2 girls joined us and we walked to the next place which was a Mediterranean restaurant. Some of the Mediterranean food was new to me, so this was fun to try. We then walked downtown to a pub that served us mac and cheese and beer. I do not like beer; but drank it anyway; but the mac and cheese was delish! Yule, gave us a wealth of information about the history of every place we went. 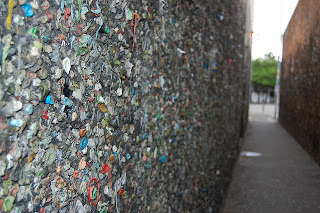 We stopped off at Gumball Alley where all the chewed up gum is stuck on a wall. 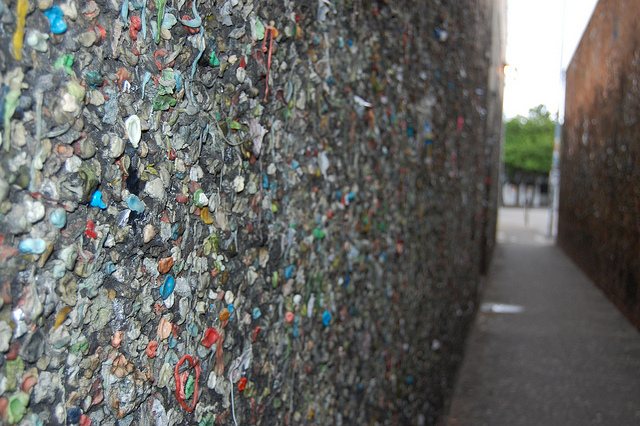 Yule gave us some gum to chew and stick on ourselves. We then went to a nearby oil and vinegar shop to taste different kids of olive oils. I love olive oil; but too much does not agree with my tummy. Luckily, I was OK. We then walked to a mission and our guide gave us much history about that as we toured the inside of it. We stopped at a winery to have some wine tasting with cheese and crackers. I also don't like wine; but drank it anyway. I did like the cheese and crackers though. Our last stop was a restaurant where we got dessert. I don't remember what it was; but it was good. Our tour lasted about 3 1/2 hours of walking, talking and eating. It was a very fun experience. We drove back to the Apple Farm to rest. After a little rest we decided to go downtown on the trolley to walk around some more and eat some more for dinner time. The trolley driver made us nervous. He had forgotten how to drive the thing and had to call someone to get directions on how to drive it. We were the only ones on there and were hoping we didn't have to go very far. After the few minute drive, we quickly got off to wander the shops. After wandering around it was almost our reservation time. We had seen a restaurant called Novo during our tour that was along a tree lined street with a stream next to it. It looked very pretty and so that's where we decided to eat. It was packed; but luckily we got seated outside. It was decorated with pretty white lights strung and heat lamps to keep us warm. There was a wedding party celebrating next to us. I was not very hungry; so I just ordered an appetizer, the Avocado Spring Rolls. They were soooo good! We also shared some chocolate truffles for dessert; which were so rich and good! After dinner, I was soooo stuffed that I could barely walk. We walked over to the trolley stop to wait for the next trolley to come. After about 10 min. of waiting we realized this trolley only stops on the weekdays. We had just seen the last trolley drive by at a nearby stop. We had to walk all the way back to the Inn. Great, more walking. I guess it was good exercise to walk off all that food I ate. We finally got to our room and hit the hay. The next morning, we ate breakfast at the Apple Farm restaurant. We used the $10 free voucher they gave us at check it, so our bill was not very much. We walked around for a little while exploring the Inn before packing up. Our last stop of our anniversary weekend was the Sycamore Mineral Springs for a soak in the hot tub. The cost is $13.50 per person per hour. They gave us a couple towels to rent and gave us a tub at the very top. Note bring your own towel. We went earlier in the day; so there weren't very many people. 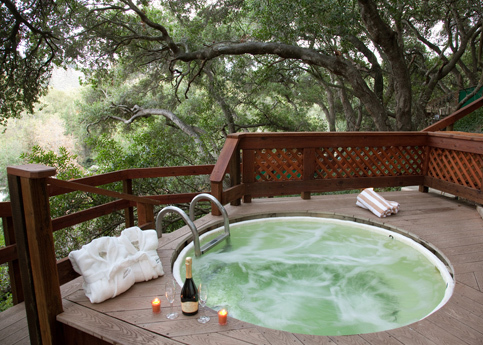 The private tubs are surrounded by trees and it's very pretty. We brought some apple cider we had left from the Apple Farm Inn to drink. We enjoyed our hour soak and headed our long drive back home.